What is it about France that has us dreaming of romantic luxury? From its beautiful beaches to its delicious cuisine and famous landmarks, France is representative of European elegance. If you were to buy a property in France, which of its many beautiful locations would you pick? Here is where we dream of one day becoming owners of a stunning property. Imagine if you were to buy a luxury villa for sale in the French Riviera. Not only would it be the perfect vacation spot, you would live in absolute luxury in one of the most beautiful regions in the world. The French Riviera is the Mediterranean coast of southern France, known for being an exclusive area attracting some of the most famous and wealthy people in the world. Its beautiful blue waters attract millions of tourists, particularly those interested in yachting and cruising. Plus, it has beautiful weather, enjoying over 310 days of sunshine per year. It’s the perfect place to enjoy life. Here, you could buy an exquisite seafront villa, a luxury apartment, a French chateaux and even vineyard properties. Imagine enjoying some delicious French wine while sitting on your porch and looking out into the Mediterranean landscape. If its culture and the quiet life that attracts you most, Provence could be a wonderful place for you. Sitting in Southern France, it borders on the Rhone River to the west and Italian border to the east, with an always stunning view of the Mediterranean Sea to the south. It’s a culturally-rich area of France with a distinct linguistic and cultural identity to the rest of the country, making it historically unique. The most exclusive luxury villas are for sale in Provence, with a rich choice of settings including homes in the midst of Luberon regional park, hilltop manors, wide vineyards and even homes among rocks and mountains. There’s nothing quite like the serene landscapes of Provence, especially if you can enjoy them in a quaint but elegant property. Of course, no conversation on luxurious real estate in France can leave out Paris. As the capital city of France, Paris boasts an ever-exciting city life with a strong French culture, exquisite cuisine and of course, shopping. 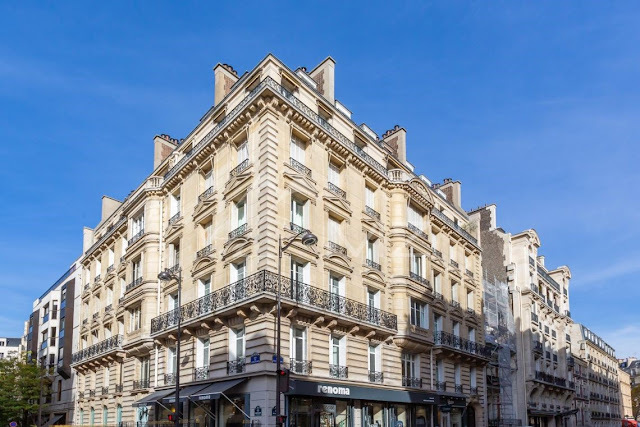 Exclusive properties in Paris may be smaller or closer to neighbors than in the Southern regions of the country, but it makes it up for it through its location and prestigious benefits. A luxury penthouse with views of Paris’ landmarks or a romantic apartment by the Seine River will have you inspired by the eternal romance of the city. After all, living so centrally in the city of lights is quite the adventure! People are often so busy carrying out tasks for work and other people that they seldom find time for themselves. However, with time this can lead to a decline in wellbeing as you can feel both overwhelmed and out of touch with yourself. In light of this, you should be thinking about how you can create time for yourself this year so that you experience life in a better way. Not only will creating time for yourself make life more interesting, but it’s also good for your health. In this article, you’re going to find a couple of practical ways that you can create time for you in 2019. People are often afraid of putting themselves first as they feel doing so makes them selfish. However, this isn’t the case, especially if you believe in the importance of self-love. If you aren’t sure how to put yourself first, here are a few suggestions worth trying. Learn to Say No: One of the easiest ways to put yourself first is by learning to say no. If you look closely, you’ll probably realize that the reason you aren’t able to create time for yourself is that you’re too busy attending to everyone else’s needs. Learn to turn down outings and decline favors, especially when you know you need quality time with yourself. Ultimately, by learning to say no effectively, you save yourself time, energy and money. Ask for Help: Aside from the mentioned, asking for help is another tactic to use to help you put yourself first. When you’re overwhelmed, instead of trying to do everything on your own, reach out to make the burden lighter instead. It wouldn’t be a surprise if you said that going out and having fun often falls to the bottom of your priority list. To keep this from happening, consider pre-booking activities so that you’re less likely to back out of going. Find a few activities you may want to pre-book below. Spa Day: An activity that you could pre-book when creating time for yourself is a relaxing spa day. Going to the spa can be good for you as it helps protect against cardiovascular disease and also helps to improve blood circulation. For the most part, it’s a fantastic way of unwinding and forgetting about your worries for a few hours. Theater Show: If your idea of quality time is going to watch a show, why not pre-book theater tickets? You can find theater tickets, show times and prices online, so it won’t take much time to quickly book and secure your spot. Workloads are often one of those things that get in the way of you creating time for you. It can be tough, but if you aren’t able to effectively do this, then having time for yourself can seem like a myth. Effectively managing your workload could look like creating a schedule, organizing it and staying alert. By doing this, you’re likely to find that you feel less overwhelmed and have more free time. Many people might be eager to tell you that moving home is one of the most stressful events in your life. After all, you will need to communicate with solicitors, pack up your belongings, and start a brand-new life at a new address. However, if you follow the right advice, it doesn’t need to be an overwhelming time. To make the transition as straightforward as possible and enjoy the experience, read the following top tips for a stress-free move. Buying a new home can be expensive, which is why you will want to reduce your expenditure when moving into a new property. To keep your finances under control, develop a moving budget to ensure you have the money available to cover all important costs, such as removal fees, packaging, deep cleaning services, etc. Avoid worry and stress by ensuring you have packed up the large majority of your home at least one week before the big move, if not earlier. This will provide you with peace of mind that your belongings are ready and waiting to go, and it will also ensure you have plenty of additional time to deep clean your home for its new owner. The removal company you choose can determine whether you have a smooth or stressful experience. Whether you are moving across Summerville or Mt. Pleasant, you must hire reputable, experienced movers Charleston, who can transport everything from bulky furniture items to precious antiques. You can, therefore, rest assured that your much-loved belongings are in safe, dependable hands. Use color coordination to label every box you possess, helping you to indicate fragile items to movers or could direct them on where to place a box once they arrive at your new home. For example, a red label could be added to a box for breakables, while a green label could indicate items for a living room or bathroom. Many excitable homeowners often forget to defrost their freezer prior to moving out of a property and may only realize their mistake once it is too late. Avoid leaving a trail of water behind in your new home by defrosting a freezer a few days in advance, and ensure all its doors are firmly closed before adding it into a removal van. Ensure you never leave one important item behind at your old home by creating a document box, which should store everything from your house deeds and passports to your will and insurance papers. You also should double check you have added the essential box into the removal van, and create electronic copies of the important documents for reference should you be unable to access them. If you follow the above top tips, there is no reason why you can’t enjoy a smooth, hassle-free experience.